Subaru’s been having a rough day. He’s already died twice, and only now is he even getting a grasp on what’s happening around him. Will he finally be able to change his fate? After dying for yet another, third time, Subaru finally begins to understand the true nature of his “return by death” ability that has made him relive the same sequence of events over and over again. With his accumulated knowledge of the day’s events already gained, he sets out to make sure the bloody outcome at the day’s end is finally averted. But can he manage to save “Satella,” Felt and the rest before the bloodthirst Elisa once again carves them to pieces? How many deaths and retries will it take? If I were to explain my reaction to Re:Zero Vol. 2, my immediate answer would be: “second verse, same as the first,” which amusingly is also the basis of the entire story. 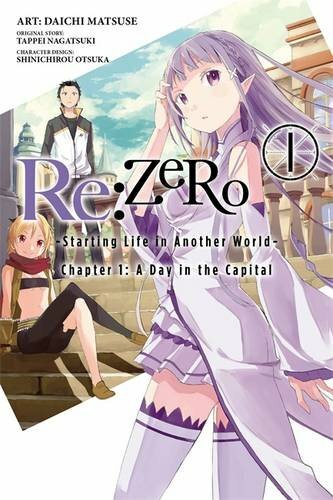 However that amusement is really only in retrospect after reading the volume, because sadly with a premise so excellent for crazy mind games, or repetition-based gag humor, Re:Zero still manages to be a very generic and fairly dull read. On paper this volume really should be far more exciting than the first volume, especially with with the latter half of the book dedicated to the climactic showdown that ends this first arc, but sadly all it does is masking the greatest failings of the manga with lesser ones. 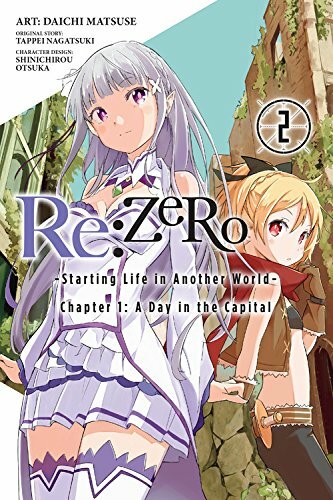 As with the first volume, the major shortcoming of Re:Zero Vol. 2 is that it is clearly not a story made to be drawn as a manga, and it hasn’t really been adapted in such a way to make it more interesting for a visual medium. Much like the Strike the Blood manga adaptation, Re:Zero’s chapters are clearly delineated between “exposition chapters” and “action chapters”, the former of which are very obviously the most hurt by the lackluster adaptation. Most of the beginning chapters are relegated to a lot of back and forth conversations, with very minimal interesting visual information drawn in the panel. At the best of times, you might get a small funny face reaction gag, whereas the majority of these pages are filled with generic “concerned” faces. Not that these conversations are necessarily bad, with stronger scripts and more care put into the panels a manga like Monster can get a vast amount of detail from small changes in facial expression in dialogue heavy panels. Sadly Re:Zero doesn’t have the visual chops to pull off that kind of subtlety, and in fact seems as equally uninspired in its artistic direction of these conversations as the plot is generic in it’s “anime fantasy” setting. The reason I mention the composition is that I found this volume especially repetitive in terms of certain page layouts and visual motifs that weren’t really contributory to the story. Stuff like consistent shots of the sky, or large depictions of a character on the right page, doesn’t end up serving the story very well and ends up like visual filler for a story that really should be in a novel. The second half of the book fares slightly better visually, with the larger more dynamic action panels being much more engaging compositionally than the exposition chapters. However the art itself is mediocre at best, and for every decent looking panel of action there seems to be 3 more that are uninspired. It doesn’t help that the art fails often to convey weight or motion very well - sword swipes feel weightless and flowing clothing looks awkwardly rigid at times. None of these things are huge detractors, but it’s common enough that it can often ruin an otherwise potentially dramatic scene simply because the art can’t keep up with some of the compositions. Not that the fight scenes are anything spectacular, but with all the swordsmanship and magical barriers and icicles being thrown around, it would be nice to see less random teleportation, and rushing forward. I’ve seen many an action scene do more visually interesting stuff with less “material” solely through execution. Sadly though, the mangaka seems unable to really pull out the most out of adapting this material. 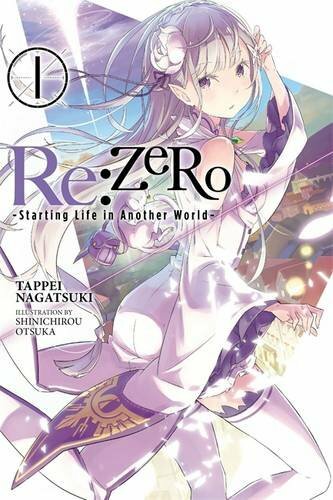 Re:Zero - Starting Life in Another World Vol. 2 once again shows that simply making a “manga” version of a novel doesn’t make a good product. Visually uninspired with a story that still feels very generic even if structurally sound, this adaptation really is just a bland manga overall. Not that this is “terrible” as far as manga go, but with two other versions of this story out there, which I suspect are likely better, I don’t have much reason to recommend people read this book. Re:Zero - Starting Life in Another World Vol. 1 was published in English by Yen Press, on July 26, 2016, translated by ZephyerRZ. The original work was created by Tappei Nagatsuki with manga art done by Daichi Matsuse.